When disassembling the multiplex network door ECU, eliminate static electricity by touching the vehicle body to prevent the components from being damaged. 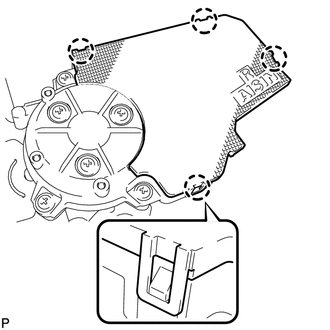 (a) Disengage the 4 claws and remove the cover. (b) Remove the 3 screws. 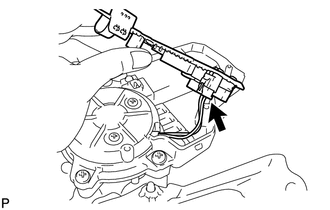 (c) Remove the flat cable connector as shown in the illustration. 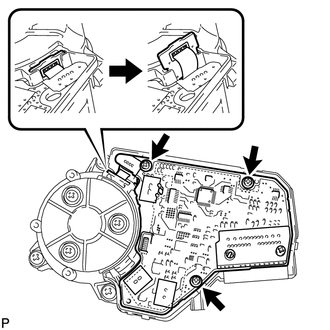 (d) Disconnect the connector and remove the multiplex network door ECU.